I am late getting my Walgreens plan done tonight. I found a few things, and I need more Dayquil as we used the last of it this week with my sinus infection. Pert Plus $1.50 ESC and $1.00 Mfg. Beginning in Residency when Jim had a Saturday night off, we started the tradition of our Saturday Night Dates consisting of grocery and coupon shopping and a quick dinner out without the kids. I had run to Target earlier this week and forgot my Target coupons on the kitchen counter. The deals that I found were worth the extra 30 minute drive to the city. We ended up leaving before hitting Walgreens and Walmart for a few last items. Our date cut short by a page to the emergency room and a FAAAST trip home to the hospital. I still cannot believe that I got all this for $29.00!! There were so many Target and Manufacturer double stacks. I even scored moneymakers on the Rolaids with a $4.00 off 2. Several of the items were completely free. The only thing I missed this trip was more of the DiGiorno Pizza and Free Soda deals as the cooler was cleaned out. I had scored the Pizza on my earlier trip the $3.99 pizzas less a $5.00/2 coupon making them each $1.49 and free Coke. My coupons are finally all nicely organized, but two 3 1/2 inch binders (1 for food, 1 for household items) creates a lot of attention. This week I finally started carrying them in as I ended up having to run to the car when I discovered an unadvertised deal. The binders are saving me a lot of time and frustration. I am beginning to think that I have too much time on my hands now that most of the kids are grown. Savings $120.58 and a dinner out with my husband at Red Robin without the girls. Becca and I escaped to the city to browse at Target. I had a couple of coupons for free items and with 33 degree weather we needed to get out. Walking through the aisle we heard the fast and furious beeps of the markdown gun. Curiosity got the best of me and discovered the winter kids shoes were being marked down to 75% off. With Becca still in Girls shoes we found a pair of black and purple Converse originally $24.99 down to $6.99. Little Girls Patent and Suede T-Straps by Genuine Kids (Oshkosh) originally $14.99 down to $3.74. Baby Converse Sequin Shoes were also $3.74, and the baby Genuine Kids Patent Dress Shoes were $3.24. They had plenty of Toddler Boy and Girl shoes all for less than $4.00. Kids slippers were $2.24. My favorite find, a pair of lavender butterfly splash boots for my granddaughter to grow into for a mere $3.74. Name-brand Kids Shoes for 75% off my deal of the day. 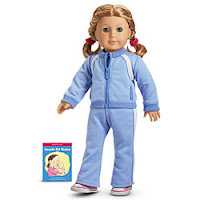 American Girls has a few amazing deals posted on their sale site this week. As I tried to order last night the items were already selling out. Run...Sprint...and maybe you can luck out to find outfits for the dolls at 50 to 70% off if you are lucky. I missed out on the Bitty outfit while I went to retrieve my purse. Becca has been begging for this track outfit for her dolls ever since it came out and I did find it for $10.00 instead of $26.00. I managed to pick up 3 outfits and one accessory pack for the price I would have normally paid for one. With buying on sale and using a coupon code: $36.75 shipped! Marissa started the American Girl Tradition over 16 years ago in our house when she bought her first Kirsten with her own money. When she would land a modeling job, the first $25.00 was hers to spend on something she really wanted. With a sick sister, 6 kids, a dad in college we were barely able to keep a roof over our heads and money for "wishes" was just not in the budget. She saved nearly a year to buy that doll. She prized her precious Kirsten and she had to be sent in to the Doll Hospital to be after the house fire and her hair matted because of sleeping with her cherished doll. Over the years, other dolls would be purchased, but many very frugally and even finding them at garage sales. Marissa would buy Samantha, Josefina, Felecity. Becca got Molly because of they both have glasses. I contacted American Girl about having a wheelchair and they even called me to tell me that they were going to make one, and Becca was thrilled to be "just like her doll". So began our American Girl doll collection. I sewed dresses for my girls, spending hours designing patterns on late night sew-ins before Christmas to fill their stockings with outfits. Marissa and Kirsten matched for Halloween when I found real Kirsten dress material at the Mill End store. That dress would be worn by each of my daughters and several of our friends daughters at Halloween. In time we were able to buy a few things, and their sale site became my favorite place to Birthday Shop or Christmas Shop. When we adopted Detamara her first doll was an African American Bitty Baby and when she turned eight, Santa brought her Girl of Today just like her. The traditions continue, Becca and I go out treasure hunting and when we garage sale we have been thrilled to find a Addy with Accessories for $35.00, A Girl of Today with who looks like Becca for $50.00 in the box, a $5.00 Lindsay, a Samantha Trunk for a dollar, $1.00 Bitty Baby, and many outfits and accessories. We display the dolls on shelving over a wooden dollclothes cabinet my Grandfather built for me as a little girl. The dolls are our tradition and bring back memories of my daughters childhoods. Little Girl visitors at my house sit and play with our finds for hours. Now that the girls are grown, I can shop for my nieces, my friend's daughters and begin a new tradition with my granddaughter. Becca has garnered the honor of betting to buy her niece Kasja her very first American Girl doll. She will buy Bitty Baby for this Christmas, and I have already started sewing the wardrobe. I told Kristy that on Kasja's fourth birthday (we have a long time to wait) we will venture to the American Girls Place to get her first 18" doll. In the meantime, Becca and I have a date to head to Madison July 18 and 19... the American Girls Doll Benefit Sale for the Madison Children's Museum. I had long heard about the sale and now that we live in Wisconsin, we will finally get to go especially when you can land a doll for as little as $55.00. Check back in Spring and I will post more information as it becomes available. Another of our favorite finds is the American Doll Outlet Center in Oshkosh, Wisconsin. (they only have clothing and accessories including girls items, they do not sell the dolls). **Thank you to my daughter-in-law Stacey for reminding me that My girls and I can actually eat at the American Girl Restaurant with our Celiac Disease, they offer a Gluten-Free Menu which is a must for our family. Back from my KMart Shopping and look what $10.00 can buy! and 1 hours time planning and shopping. We didn't need more cereal, but for this price I will donate some when I pick it for so little. The two cats are now fed FREE, I got 9 bags of cat food FREE last week, and one of my friends in my coupon club picked up another one for me as she doesn't have a cat. Josie and Pumpkin got into one and we put it all into my half price Rubbermaid bin before they got even fatter. My next challenge to find cat litter for FREE. I walked in with just a tiny white envelope of coupons as the KMart employees sneer at the couponers. I was mistaken for a lady couponer who has a reputation just because I carried my newly organized binder last time. We must all look alike. I have only done the KMart doubles there twice and each time followed the limits and limited my trip to once a week. Last week heading to the "big city KMart" I was surprised how friendly the KMart management and cashiers were. I was thinking of boycotting our store, but for doubles I will go anyway. I will go again this week just because they were so rude (but of course without my binder). I don't need to bring myself any more trouble than I need to. I didn't even have Becca or Doc go through the line with their 25 coupons so I have to go back. This weeks ad and rollovers really helps the stockpile as we use Ragu and Skippy regularly. I am almost out of my Infusium, just what I need is more Shampoo, I will have to drop some off at the food shelf. Postscript: Be careful what you wish for... (check out what I found on #4). use 3--$20.00 coupons = 3 FREE to send with Doc to the Free Clinic to add to the 18 I already have for Doc to take in Wednesday. This deal may be repeated later in the week as I will stock up on Soda (Pepsi is my favorite, Doc likes Coke and he will just have to suffer, he will have to drink what is on sale. Once at the store I discovered that Walgreens had added more Shampoo, Conditioners and Styling Products to clearance products and our dogs Depends were also marked down. I had planned on making another Soda run, but this deal even blew me away! With all the good deals on make-up, hair care products including gels, razors, etc., Goody products I will make gift bags for the Becca and Detamara Summer Birthday Pool Overnight and still have some for the food shelves. When we moved to rural Wisconsin from Michigan I found myself with no double coupons. I missed being close to all the deals but found that I saved money living out of the temptation. I was thrilled when Walgreens opened in November 14 miles from home. But Double Coupons NEVER. With KMart recently doubling and Pamida just started, I can use them once a month. But TWO AT ONCE--I am in COUPON HEAVEN! Last week the Dubuque WalMart doubled and I picked up 25 items including 9 bags of 4 pound cat food and 4 Gillette Body Washes for a grand total of $3.01 and that was mostly tax. This week our Platteville KMart Doubles and even better our Pamida in tiny Lancaster is DOUBLING and they also match the price! I will get to roll over several deals at Walgreens, Double at KMart and Double and Price Match at Pamida. I just returned from our trek into the cold to go shopping. Something seems not quite right, the kids don't have school due to the bitter and we still go shopping. But it was well worth the 30 mile trip. We discovered that Old Navy had 50% off the clearance. I stocked up on next years clothing for my granddaughter Kasja. Even Becca's tiny therapy dog Morgan will be styling in her pink parka, pink rugby and her pink raincoat and we can't forget the matching collar. My daughter Kristy loves Old Navy pajamas for the baby Kasja, and I found that they were marked down to $7.99 and some were only $3.79 and then take 1/2 off. t-necks and waffle shirts were $1.79 and $2.24. The waffle shirts can be worn under the short sleeve shirts so they can be worn year round and while they still fit. When we had all eleven kids at home and Jim was in residency, Old Navy's Markdowns were the reason my kids were well-dressed and in style for little to nothing. With all the 6 boys, the clothes did not wear out and stood up to being passed down from one to the next. Even after making it through the youngest they still sold out at my garage sale. The racks were loaded with winter clearance and 50% off the clearance makes them a frugal find. Remember the sale is only for this weekend. Aeropostale is my mainstay for Becca and Detamara's high school affordable clothing. Their 00 Short Jeans fit Miss Becca better than anything. With her tiny frame and her 4 foot 7 inch stature she can finally look age appropriate and get out of the Girls department at 19. Most of their wardrobe is Aeropostale clearance merchandise. It fits my slender girls better than any brand and I am happy that they are well-dressed at frugal prices. I was into the store last week on Becca and my trip to Dubuque to get her out of the house, after being bedridden with a sinus and lung infection. We discovered that most of the store was 70% off or more. We got three completely stuffed shopping bags for $250.00 and saved $1250.00.That was my whole clearance budget for the two of them but well worth it. My favorite find was the fleece lined zip up the front hoodies originally $99.00 for a mere $14.99. I bought both girls two each and found bright blue ones in their schools colors. Becca found the cutest white with aqua plaid winter jacket for $19.99 and we found matching hat and scarf for $3.99 each, the jeans were $14.99 originally 49.99, plain camisoles $3.99 and for my daughters with their special sensory needs they wear one everyday to hold them together. With being cooped up in the house this week with the girls out of school due to the bitter cold, the girls and I will head to Aeropostale with coupons in hand. Using the $10 off of $40 coupon I should be able to get about $250.00 worth of merchandise. The girls had seen a few things we passed on as I had spent my limit already. But with these coupons they will be spoiled. When we get back home I will post our savings. The Girls and I watch the American Girl Site for their Specials. 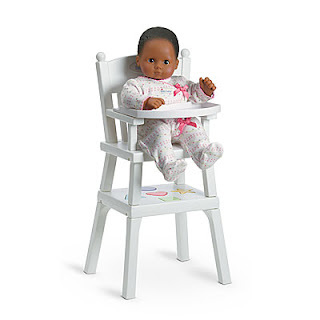 I noticed that four pieces of Bitty Baby Doll Furniture is on sale along with several other American Girl Doll items. I have a coupon code from buying our Kit movie and there is another coupon code inside the new Chrissa movie. While you are at the American Girl Site. Check out the newest American Girl Doll Chrissa and the Chrissa movie. 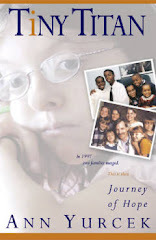 The girls and I bought the movie at Target when they were offering a $5.00 gift card with the Chrissa movie. Update: 1/15 I just visited the Strasburg Clearance site and they posted that due to overwhelming responses they are currently sold out of all clearance items. I finally have a reason to buy something from Strasburg Children's. Last year went to the Wisconsin Dells and visited the Strasburg Outlet there and fell in love with their dresses. 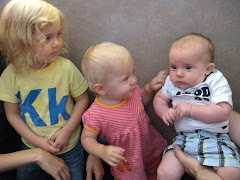 With a new Grandbaby on the way I made friends with the Cashier learned about their clearance deals and signed up for their mailing list. 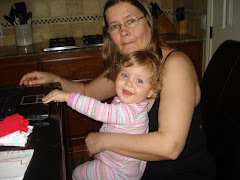 Today I ordered my Granddaughter Kasja her very first Heirloom Dress for next Christmas at bargain prices. The quality of Strasburg is Heirloom Quality. She will be able to pass it down to her own daughter someday. 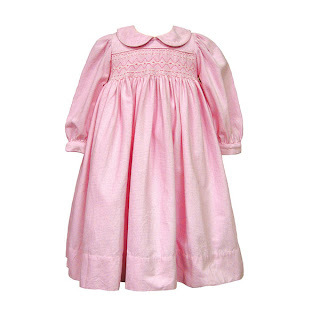 I purchased this Pink Baby Cordoroy Smocked Dress in a 3T, originally $136.00 for $39.97!!! I also bought her a White Two Piece Summer Top and Capris in a 2T for her first Birthday. Originally $100.00 for $28.97. Shipping was a little spendy at $9.99 but well worth the bargain and the memories. I couldn't resist this weeks Walgreens deals, that I had to go back. It was well worth the l4 mile trek to our nearest store here in rural Wisconsin. With rolling over the Walgreens Rewards and Coupons was able to get over $100 in merchandise for a mere $9.59. What did I get for that Ten Dollar Bill: 4 Ramen Noodles, 4 Boxes of Kelloggs Cereal, 8 Palmolive Dishwashing Soap, 3-130 Count Centrum Vitamins, 3 Bags Russell Stover Sugarfree Candy, 4 boxes of Quaker Instant Oatmeal (Detamara's favorite), 1 Large Decorative Softsoap (raincheck for 4 at .64 after coupon), 6 boxes South Beach Living Bars, and 2 well needed Puffs with lotion as Becca used a whole box just this week with her sinus infection. I almost forgot one last Garnier Fructis Coupon and used it for a tube of Hair Scrunch for Miss Becca's waves. (21 bottles of FREE Garnier Fructis Products is enough). The food shelves will be getting Good Shampoo and Conditioners. I got it all for less than the regular price of one Centrum Vitamin. With the internet, our newly opened Walgreens, I am back in the business of finding bargains. I will be trying to match up the coupons and rollovers on Saturday and will post them here by 6:00 Saturday night. That way I can be at Walgreens early Sunday morning. Total Out of Pocket $9.14 plus tax after refund from Medical flex acct. I posted the other day about the coupons for the free Blood Glucose Monitors. With hitting all 3 Walgreens I was able to get 18 Monitors to donate to the Boscobel Free Clinic for those in need. 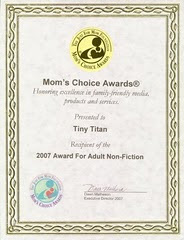 1/4 there was coupons for One Touch Ultra Minis for $20.00 off. Walgreens has them for $14.99. The other is a coupon for $9.99 for the FreeStyle Freedom Lite. Walgreens has them for $9.99. Both end up being FREE. Many of us Coupon Clippers ended up buying extra papers this week due to the 5 sections of coupons can use our talents to help others. Pick up the Monitors and Donate them to your local Free Clinic, Senior Center, or Non Profit that serves the poor. It feels so amazing to help others, and use my bargain hunting skills to make a difference. **The One Touch Ultra Mini coupon will only work up to $14.99, it will not work as a money maker. I researched this product and found that it was listed for around $199.99 elsewhere. Regular Listed price for this set is $289.99. This Mini Market is built for day after day of wonder-filled play. 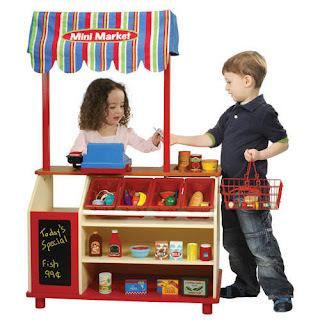 This Market Set includes 1 Wooden Mini Market wtih Canopy, 29 piece realistic looking Cash Register Set with money and credit cards, (sorry no coupons included), 30 piece Groceries set, 4 plastic bins, and 1 Wire Shopping Basket. This set is made of the highest quality materials and complies with all US and Canadian safety regulations. Assembly Required.... and someone strong to help lift this heavy box onto your shopping cart and into your car. Happy New Year and this is the start to me actually keeping a strict budget and my resolution to get back writing. This morning was the day to restock my coupon file as most of them expired with the end of the year. Today there were five (5) inserts in my papers. I woke Doc to have him drive me to the gas station as we were plagued by an ice storm last night. I neglected to bring my camera and probably could have had an award winning "Funniest Pet Videos" winner. Bailey (our 20 lb dog) couldn't stand on his feet, and Tiny Morgan our 3.5 pound "Morkie" was blown away by the wind and slid along on the ice down our hilly SW Wisconsin driveway. Jim had to slide out to go retrieve the puppy. We took our Sequoia out and it slid sideways down the driveway and it finally ended up doing "cookies" in the turnaround before it stopped. What I will do to get my Sunday Newspapers! The highway was salted and we landed at Walgreens... and it was well worth the l4 mile trek. My adopted daughter Detamara LOVES OATMEAL and she will eat it for breakfast, lunch, snack and dinner if we let her. I restocked my Gel Tab Jumbo Container and I have never found dishwasher tabs this inexpensive. Then I discovered that the paper was loaded with Blood Glucose Monitors I had a brainstorm. Check out Walgreens to see if they are reduced and donate them to the Boscobel Free Clinic for doctors to hand out to the area residents without insurance who need one. My husband volunteers at the clinic and he thought it was a great idea. I will drop off much of it at the food shelf and can't wait to drop off the Glucose Monitors at the Free Clinic. I CHALLENGE other COUPONERS to pick up the monitors and drop them off at your local FREE CLINIC or SENIOR CENTER to get them to those in need. I am having fun saving money and helping others at the same time... In this tough economy using our frugalness for charity will help them as many are struggling.